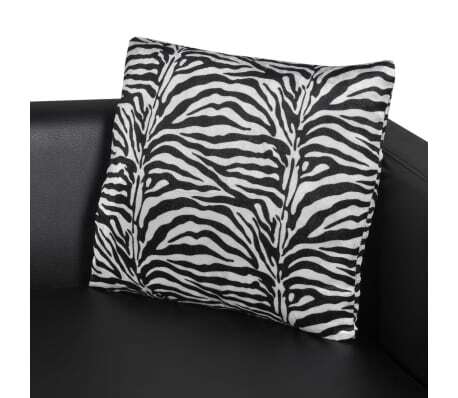 Seat height from the ground: 16.1"
Pillow size: 13.8" x 13.8"
This armchair, made from quality artificial leather, provides optimum seating comfort. 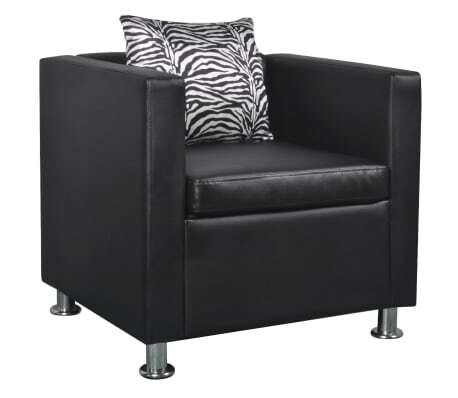 With a modern cube design, it is a great choice to bring in an air of class into your home. 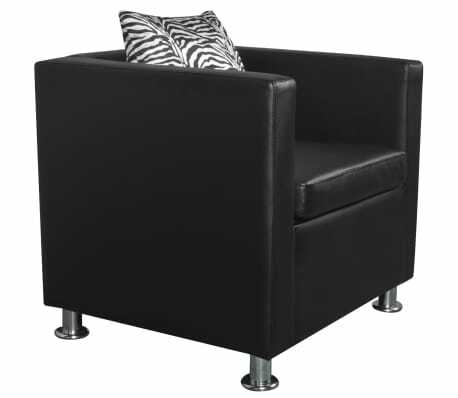 This cube armchair takes up little space and offers simple lines to decorate any room whether classic or modern. 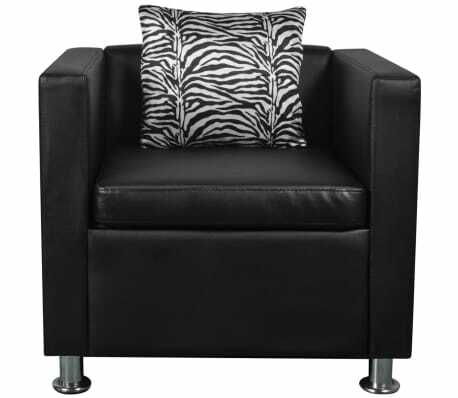 This armchair features a wide seating area and thickly padded cushion for the ultimate seating comfort. 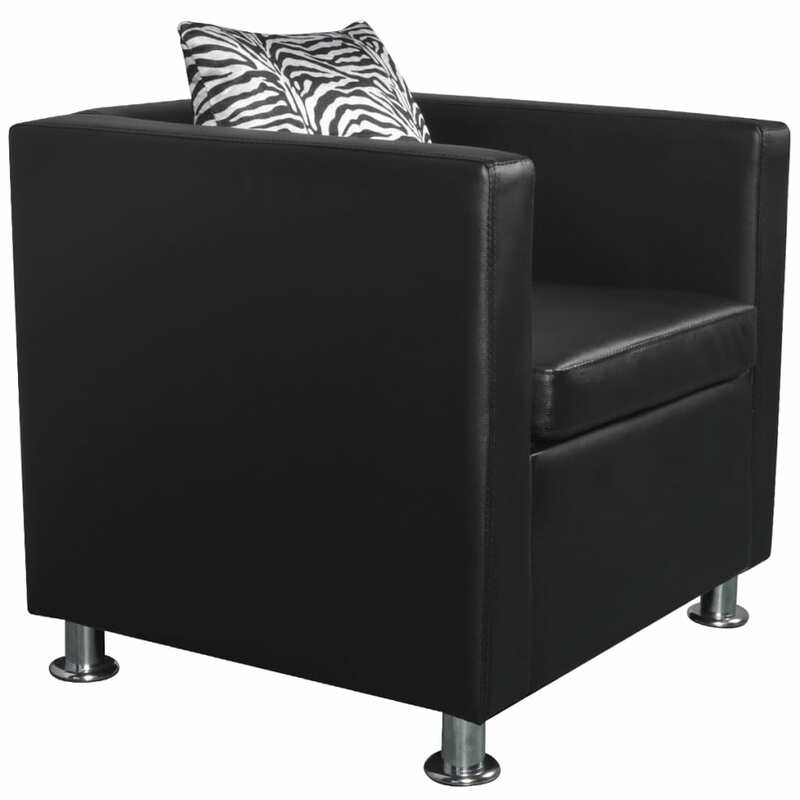 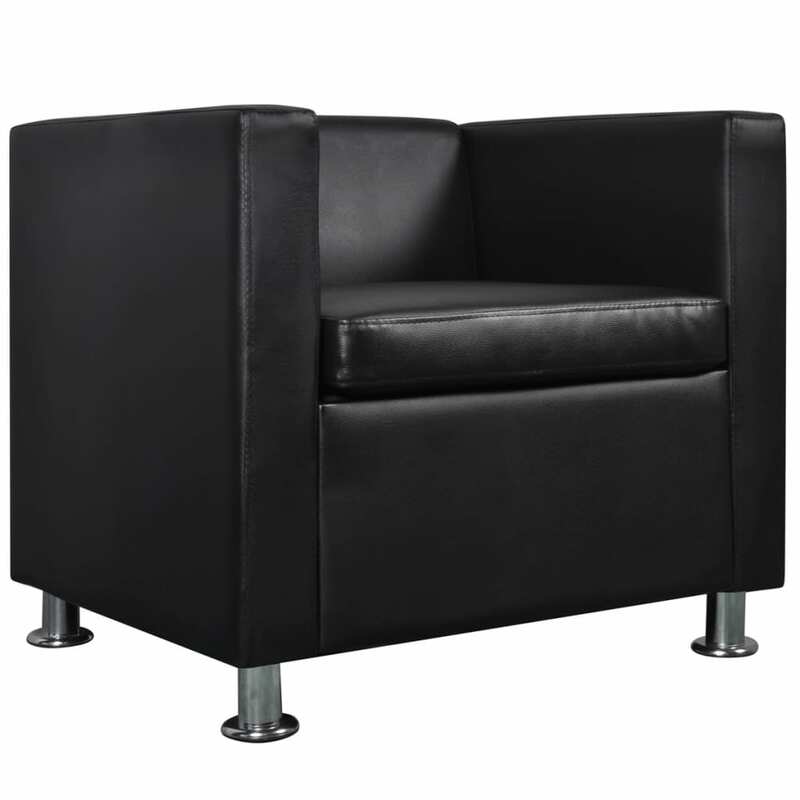 The armchair is upholstered with high-quality and durable artificial leather that is hardwearing and easy to clean. 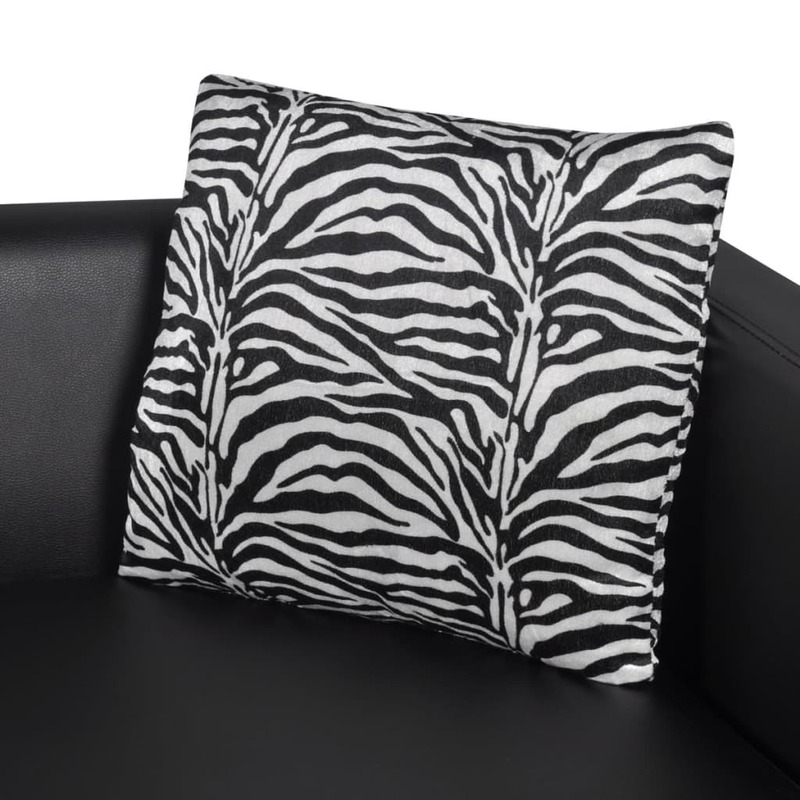 Its simple design is elevated by the excellent stitching. 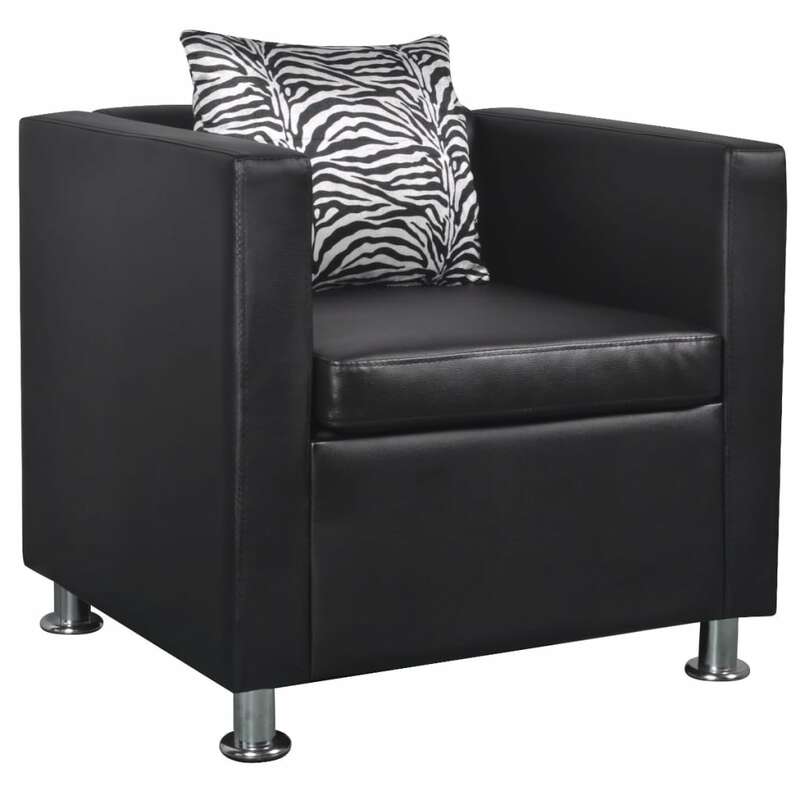 The cube armchair is well constructed with sturdy feet that give long lasting durability. 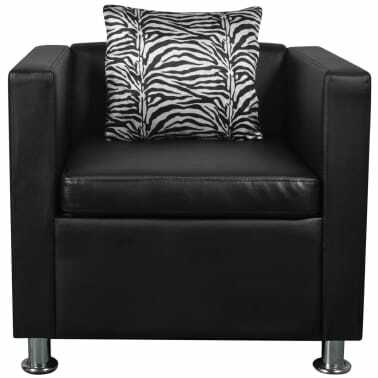 Delivery includes 1 armchair and 1 loose pillow.